“A wish experience can be a game-changer for a child with a life-threatening medical condition.” This quote is part of the mission statement of the Make A Wish Foundation. Just one wish, one dream, can turn into one miracle for a young life. Today while at the IditaRider lunch I met a young child that is living her wish here in Alaska. 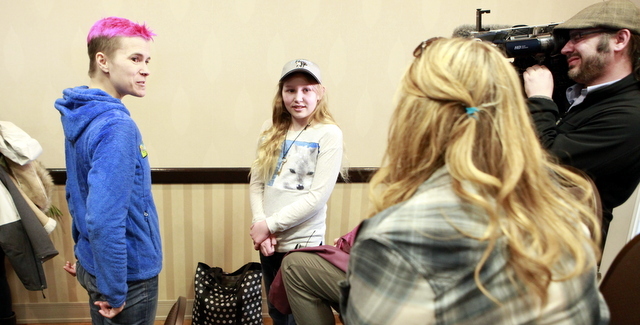 Ally, from Utah, is in love with the story of Balto and Togo. The stories of these dogs is what generated an intense love for sled dog mushing. So much love, she dreams of moving to Alaska some day to possibly have her own team. Ally is 14 years old and is fighting cystic fibrosis. Her wish was to experience the Iditarod first hand. There is no better way to experience the Iditarod as a fan then to ride in the sled of a musher 11 miles. Ally’s wish will be coming true this Saturday morning thanks to Make A Wish and ExxonMobil. She will be riding in the sled of Heidi Sutter. Heidi is a special education teacher working with children with autism and severe behavioral issues. A musher that works with children day in and day out; a connection was formed quickly. While I watched from afar, it appeared they were becoming friends right away. Heidi is honored to be able to have Ally in her sled. This experience has been an overwhelming experience so far for Ally. Photographers, T.V. cameras, interviews, and convention center full of thousands of people have been of few of the things Ally has experienced so far. 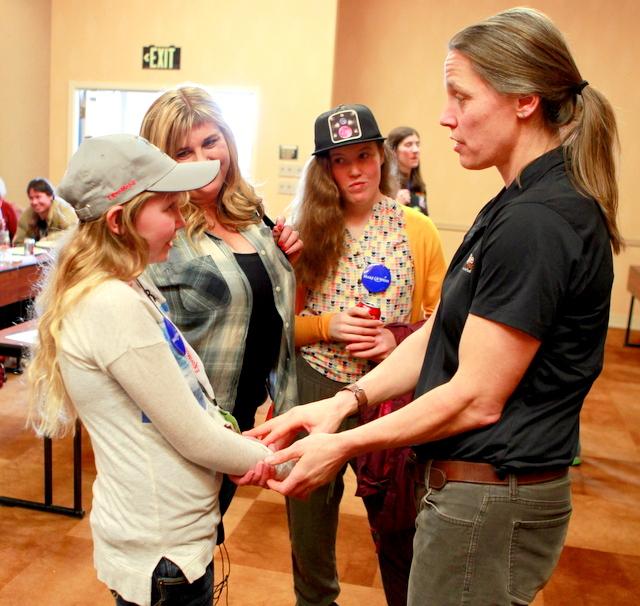 She has been meeting so many of the mushers she has been following. Already a life changing journey since she has been in Alaska and she has not even been on the sled yet. All of the noise and chaos will be there again Saturday morning on 4th Avenue as Ally and Heidi wait for the announcer to call their names and count down “5, 4, 3, 2, 1…Go!” Ally will have the opportunity of a lifetime and just be able to enjoy 11 peaceful miles of the ride of her life. The Iditarod is so much more than a dog race. It is a race that changes people’s lives in many ways. This race will change Ally’s life and she probably doesn’t even realize it yet. It is a race that teaches perseverance, love, determination, care, compassion and much more. These are lessons that young Ally definitely needs in her life. It opens a whole new world to anyone involved in the race. 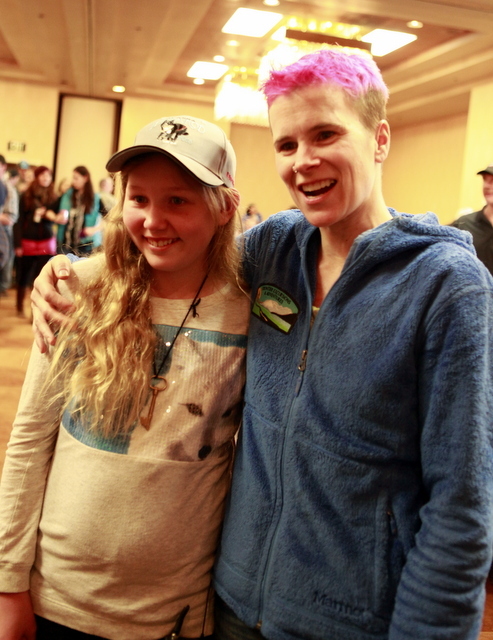 I talked with Ally and am amazed by her spirit and positive attitude. It is people like Ally that make you look at life in a whole new light. When I walked into the room for lunch I already knew I am inspired by so many of these mushers. After talking with Ally and her mom, I am inspired by Ally. This opportunity that the Iditarod, Make A Wish, ExxonMobil, and Heidi Sutter are providing Ally will stay with her for the rest of her life. They are truly changing her life and her family’s life.